Finance for $495 per month at 6.09% APR for 60 months with $2,950 down payment. Payment expires on 04/30/19. Estimated Finance payment based upon 6.09% APR for 60 months, with a down payment of $2,950. Excludes title, taxes, registration, and license fees. Some customers will not qualify. See your authorized dealer for complete details on this and other offers. Residency restrictions may apply. Lease for $356/month for 36 months with $2,950 due at signing including $0 Security Deposit and 15,000 miles per year. Payment expires on 04/30/19. Estimated Lease payment based on 36 months and $2,950 due at lease signing. Cash due at signing includes $7,894 capitalization cost reduction, which includes $650 acquisition fee, plus a required security deposit of $0, and first month's lease payment of $356. Excludes title, taxes, registration, and license fees. Total monthly payments equal $20,695. Mileage charge of $0.20 per mile over 15,000 miles. Not all consumers will qualify. Residency restrictions may apply. 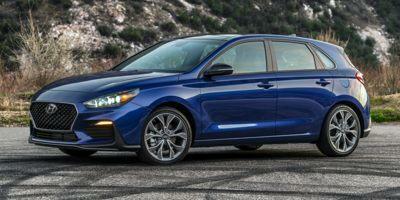 Your new Hyundai Elantra GT vehicle resource serving St. Louis. No matter what sort of vehicle you're looking for, you're sure to find something at our Hyundai dealership. We have the best selection of new Hyundai models and used cars in the area. Our O'Fallon Hyundai dealership offers the best prices and customer service around.